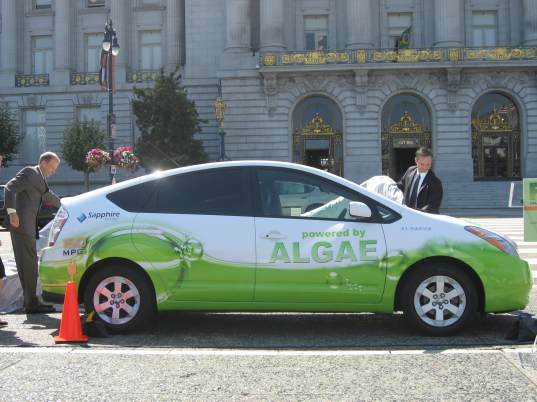 Just yesterday San Francisco saw the unveiling of the world’s first algae fuel-powered vehicle, dubbed the Algaeus. 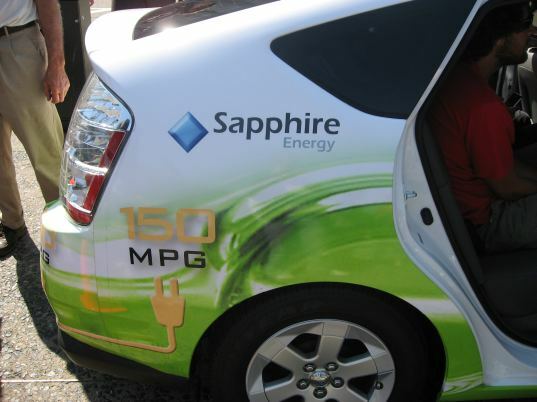 The plug-in hybrid car, which is a Prius tricked out with a nickel metal hydride battery and a plug, runs on green crude from Sapphire Energy — no modifications to the gasoline engine necessary. 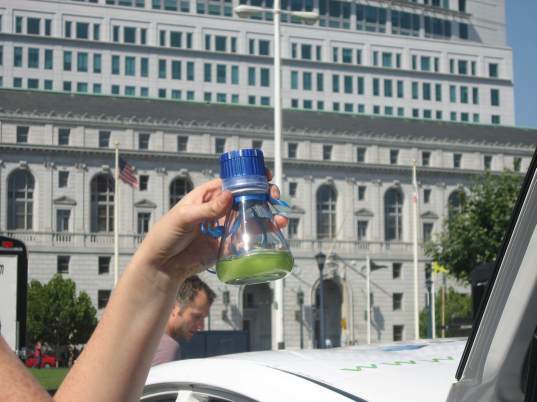 The set-up is so effective, according to FUEL producer Rebecca Harrell, that the Algaeus can run on approximately 25 gallonsfrom coast to coast! And of course, the cross-country tour will also serve to promote FUEL, a film about America’s ongoing dependence on foreign oil. Unlike many environmentally-themed films that serve up upsetting bits of information without offering concrete solutions (An Inconvenient Truth, anyone? ), FUEL discusses the ways that we can transition away from oil right now. “What’s important for everyday people is information. People don’t say ‘Can you give me something else to be scared about?’ They say, ‘How can I get my car to run on algae fuel?’, Tickell explained. FUEL will be released in New York City, San Francisco, Berkeley, and Washington DC on September 18th.